Landry in Like is a Literary Classics Gold Book Recipient! Landry in Like was named a Literary Classics Gold Book Recipient! Being a teenaged girl has its challenges. And life for Landry is no different, even though she somehow believed things might be better for her this year. But she thought wrong. Nothing seems to be going her way, and to make matters worse, it seems her best friend is leaving her behind for a new group of friends. Staying true to herself and maintaining a positive attitude isn’t always easy when it seems like she’s always on the defensive. Author Krysten Lindsay Hager captures the true essence of life for teens today in book three of the Landry’s True Colors series. Packed with a cast of well-developed characters and highly plausible scenarios, this book sends just the right message to young girls today who are trying to navigate troubling teen years. Recommended for home and school libraries, Landry in Like has earned the Literary Classics Seal of Approval. Get a Copy of UnBreak My Heart by Kimberley Montpetit for FREE today! "This book was pleasantly entertaining and wonderfully charming. 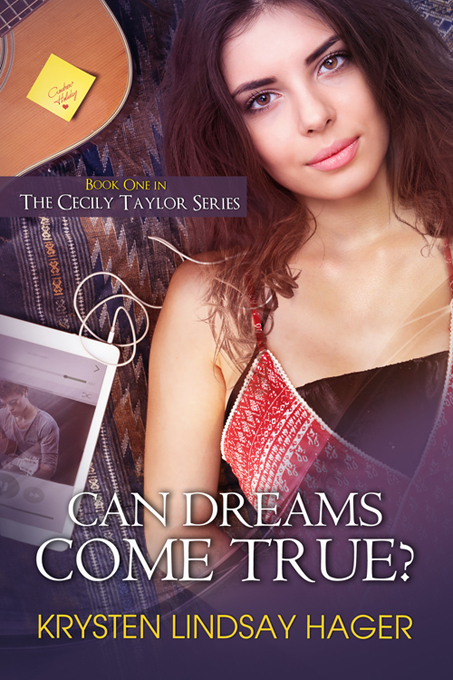 While I enjoyed the romance, I loved that Can Dreams Come True also managed to address the importance of staying true to yourself, doing what you love and pursuing your dreams. I truly had fun reading this novel and can’t wait to see what happens next." Dreaming with Krysten: a young adult novel journey 05/24 by Epilogues | Books Podcasts: Authors Angie Martin and Marisa Oldham try to keep straight faces and do a perfect podcast... no, not gonna ever happen. Ever. But, they will talk with YA / Preteen Author Krysten Lindsay Hager. They may also have some cocky updates, a few writing tips and tricks, and maybe some inspiration to write! Angie Martin: bit.ly/thrillingbooks Marisa Oldham: bit.ly/lovestoriesauthor Krysten Lindsay Hager: www.krystenlindsay.com Krysten's bio: Krysten Lindsay Hager writes about friendship, self-esteem, fitting in, frenemies, crushes, fame, first loves, and values. She is the author of True Colors, Best Friends...Forever?, Next Door to a Star, Landry in Like, Competing with the Star, Dating the It Guy, and Can Dreams Come True? True Colors, won the Readers Favorite award for best preteen book and the Dayton Book Expo Bestseller Award for children/teens. Competing with the Star is a Readers' Favorite Book Award Finalist. Krysten's work has been featured in USA Today, The Flint Journal, the Grand Haven Tribune, the Beavercreek Current, the Bellbrook Times, Springfield News-Sun, Grand Blanc View, Dayton Daily News and on the talk show Living Dayton.